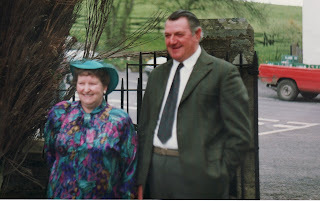 This photo of Max & Freda Scown was taken at a wedding in the 1990's. My dad died in 1999 and is hugely missed, but he had suffered for a long time. They were married in March 1954 in Hamsterley Church, where my grandparents were later buried.